One of our most exciting engagements with the Construction Suppliers Association (CSA) was the development of an extremely complex financial roundtable analysis system. Using this software, association members can confidentially compare costs and best practices — an enticing and extremely valuable benefit to CSA membership. 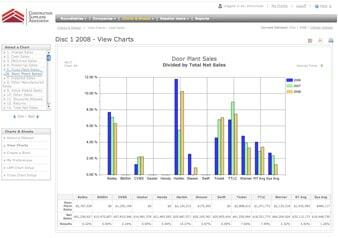 We designed, architected and developed the system — the CSA’s Building Material Operational Comparison program — which collects approximately 200 pieces of financial data from roundtable participants and provides visual and tabular analysis to be used in roundtable meeting discussions. For confidentiality reasons, data security was a high priority for this project. Although the system doesn’t handle credit card information, it was architected to meet the Payment Card Industry (PCI) Security Data Standards Council’s strict requirements. 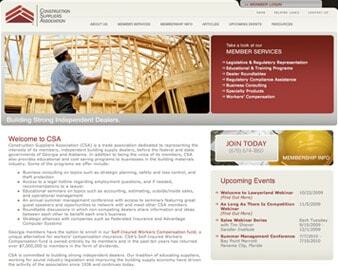 The new application was an enormous step forward for CSA. Not only did it replace an outdated, frustrating old system, it made the entire benchmarking process infinitely easier. Also, we built the program that it can be resold to other, noncompeting associations. This has enhanced CSA’s revenue stream and guarantees that the application will pay for itself many times over.